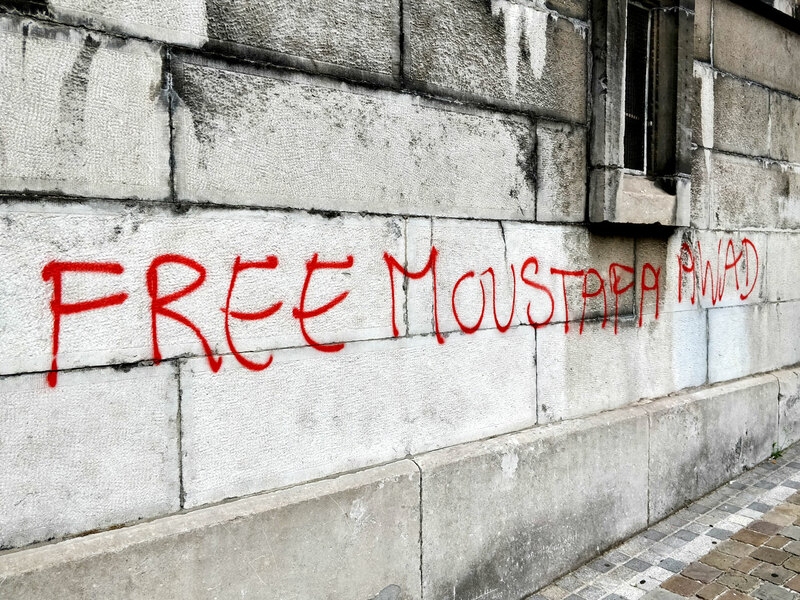 bxl.indymedia.org - Free Mustafa Awad ! The "Justice" Palace of Brussels was painted a few days ago in solidarity with Mustafa Awad. Mustafa is a Belgian-Palestinian artist and human rights defender. He has been jailed by the zionist occupation forces for more than 40 days. During the first weeks, his basic human rights were denied, he was forbidden to see family, lawyer or to receive help from the embassy, he was also deprived of sleep by very long questioning sessions. Freedom for Mustafa, freedom for Palestine, freedom for all prisoners. Down with imperialist, fascist and zionist powers !